VIJAYAWADA: Have you heard of the ‘toilet-to-tap’ water concept in advanced countries like Singapore and Spain where wastewater is recycled and used as drinking water? 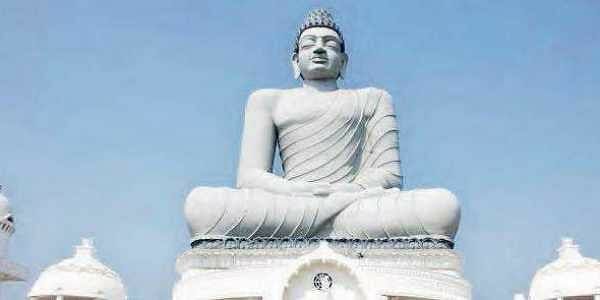 The AP Capital Region Development Authority (CRDA) is adopting the concept in new capital Amaravati. While in other countries the recycled water is supplied directly for human consumption, the CRDA is planning to supply it for irrigation and other domestic purposes.Even though the idea to recycle and reuse wastewater is not nothing new as it is being implemented in Singapore, Israel, Spain, Scandinavian countries and others, CRDA officials said that Amaravati would be the first city in India to use the mechanism. “Wastewater generated from the habitations in the entire 217 -sq km capital region will be recycled and reused. While this is a commitment for us as per the National Green Tribunal norms, it is largely a part of the zero waste principle based on which the capital is being designed,” CRDA additional commissioner S Shan Mohan told TNIE. He explained that the about 50 per cent of the recycled water would be used for urban irrigation and landscaping purposes and the remaining would be released into the canals flowing in the region. “The recycled water would be used for irrigation, landscaping and other purposes. Even though we will treat the wastewater to potable drinking water standards, we don’t have plans to supply it to households for now,” he added. The CRDA is already in the process of establishing necessary infrastructure for recycling the wastewater. In total, thirteen sewage treatment plants (STPs) will be installed. The CRDA has already invited tenders for the same as the recycle and reuse infrastructure is a part of the tier-II infrastructure being developed in Amaravati. “A total of 1,150 km pipeline network is being laid for the purpose. The locations of STPs have also been identified closer to canals so that it would be easier to discharge the treated water into them,” an official from the infrastructure wing of the CRDA explained.